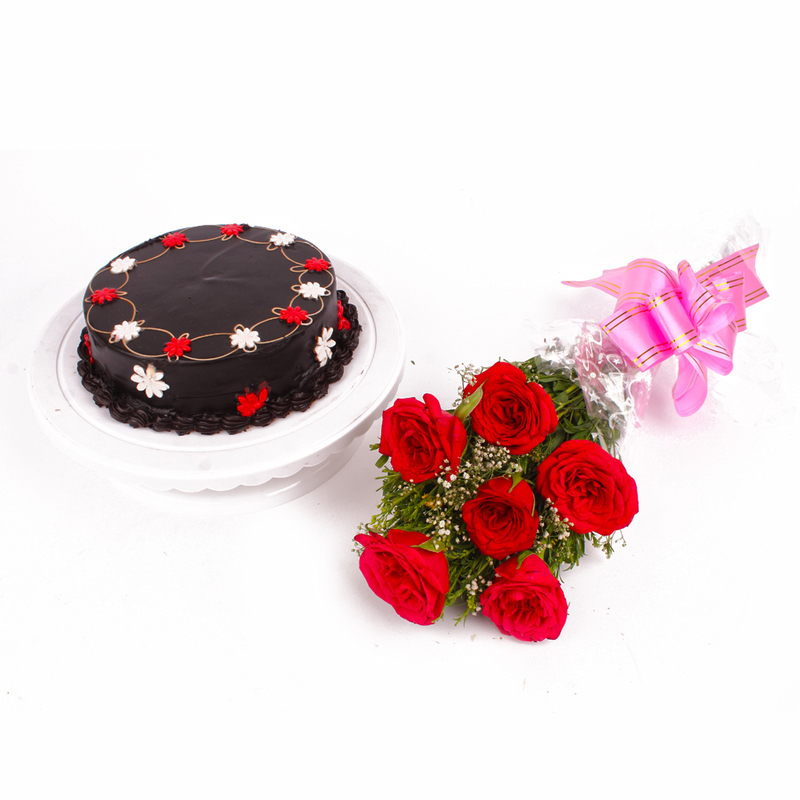 Surprise your dear ones with Red Roses and Chocolate Cake a unique combinations. You cannot expect anything better than this combination for your loved ones. This Gift hamper includes beautifully arranged 6 red roses in hand tied bunch along with one kg chocolate cake. The gift is much more than just a gift. It is your expression of love. Surprise him or her on Birthday, Anniversary, Good Luck Gifts, Gudi Padwa / Ugadi, Daughters Day or any occasion with this special combo gift package. You may also send Gifts to India to your near and dear ones through Giftacrossindia. 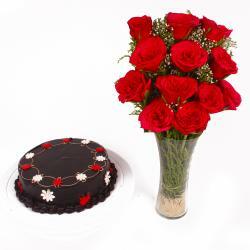 This gift hamper contains : Bouquet of Six Red Roses along with One kg Chocolate Cake.